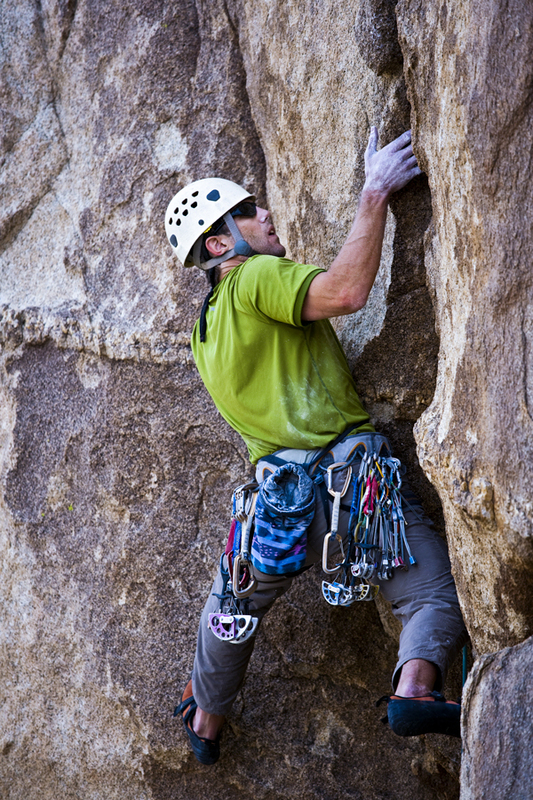 Summer in Fremont County offers an abundance of sports and recreation activities. Events such as the upcoming Challenge for Charities Half-Marathon/Races, International Climbers’ Festival, and the Jurassic Classic Mountain Bike Festival have many athletes out training on the local trails, crags, and roads. Our student athletes are participating in sports camps and training sessions over the summer break. Despite the multiple benefits of fitness activities, risk of injury is inherent in all sports. Dr. Cory Lamblin, an orthopedic surgeon and sports medicine specialist at Fremont Orthopaedics, knows that many sports injuries are potentially preventable—which is good news! Always warm up before you exercise. A gradual warm-up can go a long way to prevent injuries. Your warm-up can consist of gentle stretching, yoga, walking/jogging or simply doing your regular activity at low intensity. Don't work out on empty; ensure that you are adequately fueled/hydrated prior to working out. Calorie deprivation and dehydration cause fatigue; fatigue promotes sloppy form. For longer workouts, games, or events, plan ahead to replace lost fluids and supplement calories at specific intervals. Avoid longer than 60 min of intense exercise with out refueling to maximize performance and recovery. Gradually increase time and intensity. When starting an exercise program or a new sport, it’s easy to go too hard, too soon. Cross train. In addition to helping reduce workout boredom, cross-training helps train your entire body without over stressing individual muscles, ligaments, and tendons. Variety in your workout routine helps to prevent overuse injuries. If you’re participating in a sport, make sure you use the proper gear – even when you’re just practicing. It’s also important to have a clear understanding of the rules of the game and safety precautions of the sport. Listen to your body. If you experience any sharp pain, weakness or light-headedness, pay attention. This is your body's signal that something is wrong and you should stop what you’re doing. 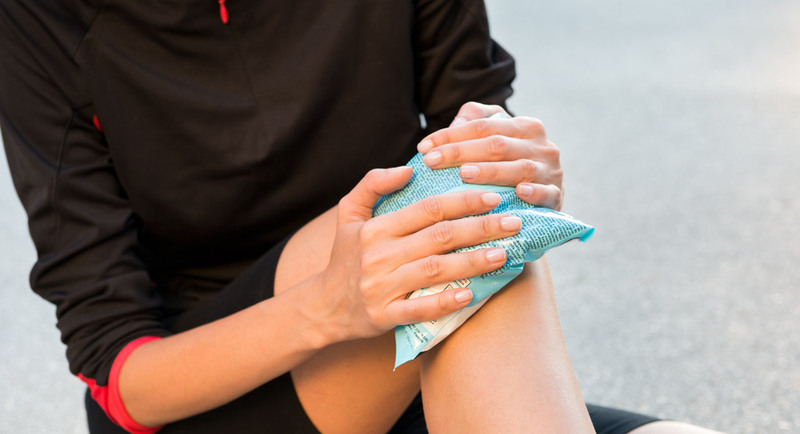 Pushing through acute pain is the fastest way to develop a severe or chronic injury. Take time for rest and recovery. In addition to getting enough sleep, it is important to take some rest days. Working out too much for too long can lead to fatigue, injury, and possibly reduce your immunity. The amount of rest needed depends on current workout volume/intensity, fitness level, and upcoming events. Getting to know your body and its response to exercise is very valuable. Ice – apply ice or cold packs for 20+ minutes several times a day for the first 72 hours or until swelling subsides. Do not apply ice directly to bare skin. Compression – wrap the injury with an Ace bandage to reduce swelling and provide comfort. If the limb below the Ace wrap is turning purple or swelling or you begin to experience numbness or tingling, the wrap is too tight. Elevation – use pillows to elevate the injured extremity at or above the level of the heart as often as possible. For serious orthopedic injuries or sports injuries that are not improving with the above techniques, call Fremont Orthopaedics to schedule an appointment (307)332-9720. Our physicians are proud to offer excellent and local care for a wide spectrum of musculoskeletal injuries.